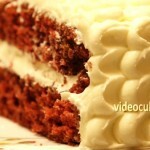 Classic Red Velvet cake with cream cheese icing is an American favorite and a popular cake worldwide. 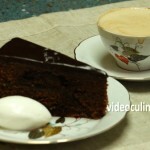 This southern comfort cake is moist, tender and beautiful. Sift together 380 grams (13.5 oz) of flour and 15 grams (0.5 oz) of cocoa powder. Set aside. Mix 400 ml (13.5 fl oz) of buttermilk with a teaspoon of red food color, or as much as you need to get a bright red color, and set aside. 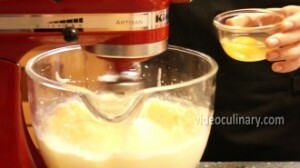 Place 200 grams (7 oz) of soft butter in the mixer bowl. 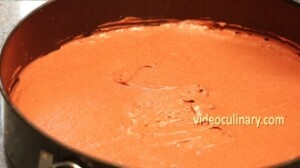 Add 450 grams (1 pound) of sugar and mix on medium speed until creamy and light in color. Scrape down the sides of the bowl as needed, adding 3 eggs- one at a time, 20 grams (2 teaspoons) of vanilla sugar and a teaspoon of salt. Mixing on low speed, alternate adding the sifted flour and the buttermilk. Working quickly, add 1.5 teaspoons of vinegar into 1.5 teaspoons of baking soda. Fold into the cake batter. We divided the batter into two 26 cm (10 inch) greased cake pans, lined with parchment paper. 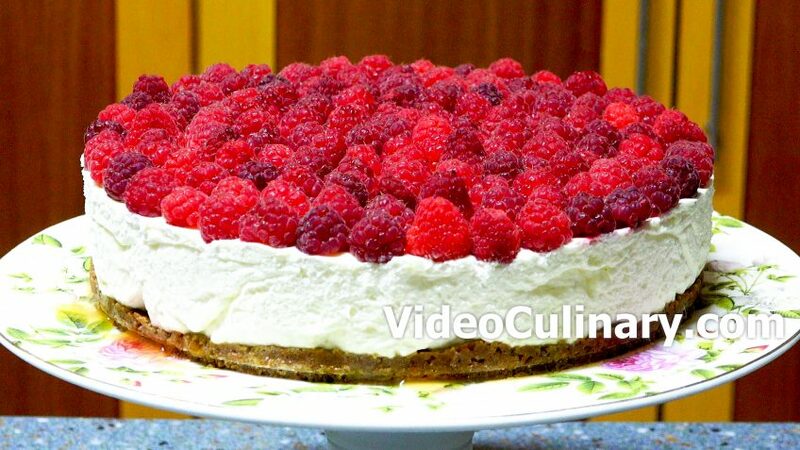 If you do not have two cake pans of the same size, pour the batter into one cake pan, and slice the cake into 2-3 layers after baking. 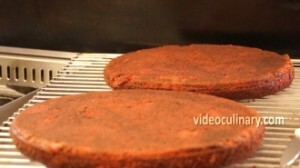 Place in an oven preheated to 180°C (350°F) for 30 minutes. 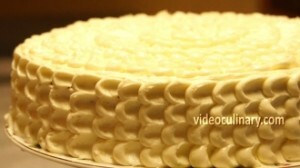 To test for doneness, insert a wooden skewer in the center of the cake. It should come out clean. Cool the cake in the pan for 15 minutes, remove from the cake pan and cool completely on a rack. 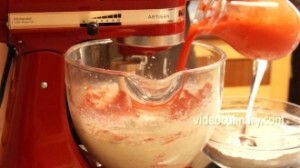 Make the cream cheese frosting: mix 700 grams (1.5 pounds) of cream cheese with the paddle attachment until smooth. 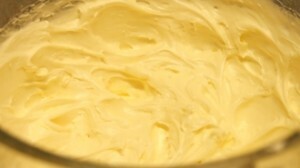 Gradually add 350 grams (12 oz) of soft butter. 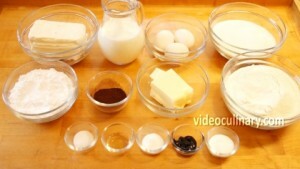 Add 350 grams (12 oz) of powdered sugar and 10 grams (2 teaspoons) of vanilla sugar. Mix on medium speed until light and fluffy. 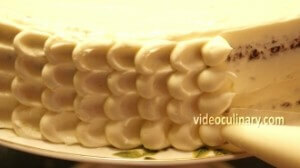 Assemble the cake: Spread a small amount of the cream cheese icing over the serving plate. 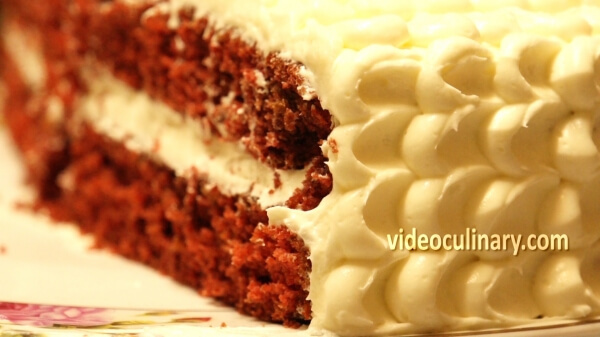 Place a cake layer over it, and spread with one third of the cream cheese icing. Place a second cake layer over it, flat side up. Spread one third of the icing over the top and sides of the cake. 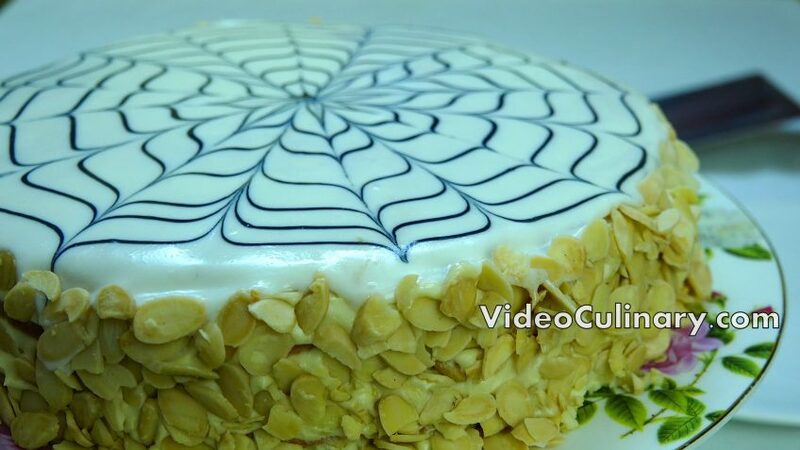 To make a petal design, fill a pastry bag with the remaining cream cheese icing. Pipe a vertical line of dots. Use a teaspoon or a spatula to spread the cream. 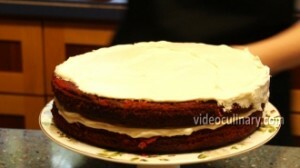 Continue until the cake is completely frosted. The cake is ready to serve! 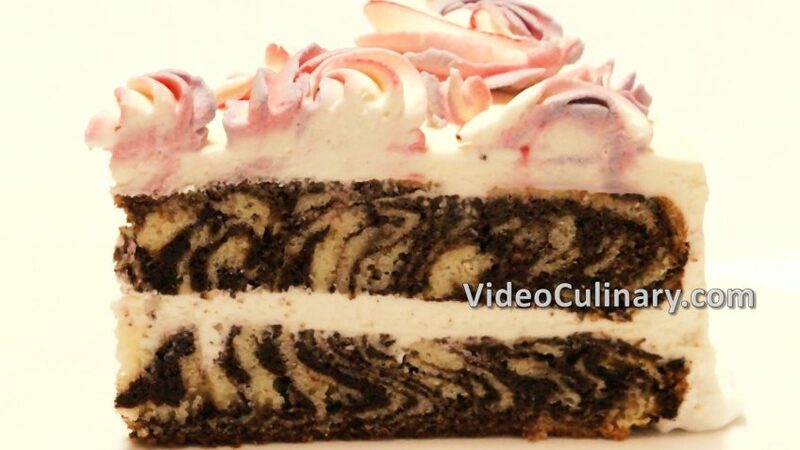 Please subscribe to keep up with all the latest recipes, upload a photo of your cake in the comments below the recipe. We would love to see your cake creations! Enjoy and good luck!